Our Fundraising Program Products Can Now Be Viewed Online! Your profits are just a click away with our Online Ordering Program. This exciting program offers students and families the opportunity to view their artwork in a virtual gallery, display it on various products, and then make purchases online in a safe and completely secure environment. (30% larger than the competition) we supply free of charge. ADD fun to the process by using specific themes or lessons. 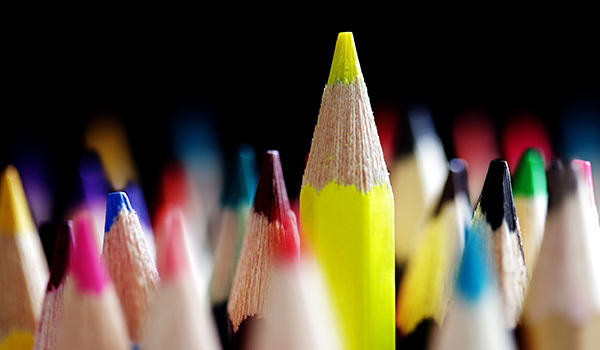 USE bright bold colors and wide borders. Markers, tempera and water color paints work well. FILL the entire paper edge-to-edge for best reproduction of the artwork on our products. 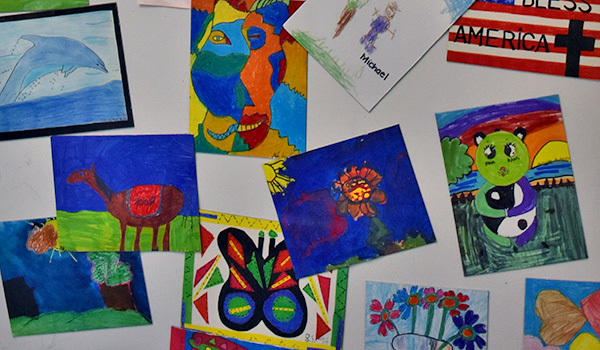 CONSULT our ART GUIDELINES and take advantage of the dozens of free LESSON PLANS we offer. Once the artwork is completed, it is sent to Original Works where it is scanned, uploaded and displayed in the gallery. Each student is made to feel like an accomplished artist as they and their families take a virtual tour of the school gallery. 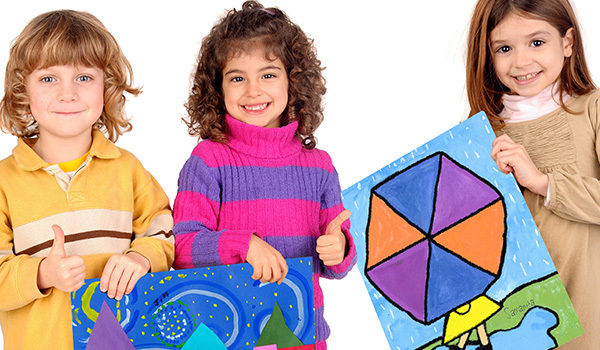 Clicking on their child’s artwork allows families to view products featuring the artwork before placing orders online. Publicize the program in the school newsletter, on the daily announcements, etc. Follow the tips offered in our e-Marketing Kit to promote the program. Showcase our striking sample products and eye-catching posters in the display case, office and other high traffic areas. Our regular email notifications make it easy to plan, promote and administer your program. Orders are placed directly online using a credit card or eCheck. You can also choose to offer manual order forms for families who prefer not to place orders online. Or they can always call in their orders. All orders are transmitted directly to Original Works. This eliminates order handling and payment collection for the school or organization. 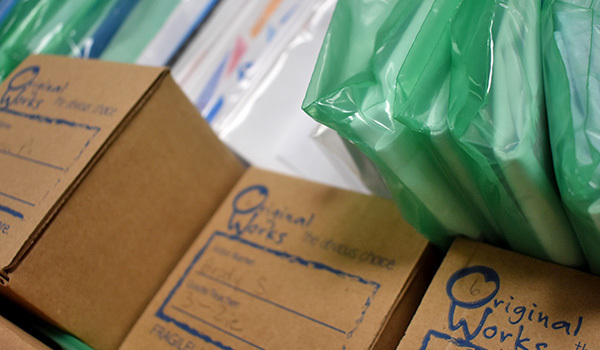 Orders are then packaged by class and grade for easy distribution. The completed orders arrive back to the school for distribution. At the conclusion of the program we compute a final profit total and send your profit check. A built in Coordinator Panel provides a simple way to track sales and profits earned throughout the program. Keep profits growing by placing additional orders at any time and receiving full credit. Ready to start your Original Program? Click below and complete our quick online registration. Want to learn more about our simplest program? Click below and information will be on it’s way.